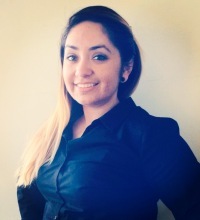 Alejandra Cortez – As a Cypress park native, I believe in engaging and empowering our community by listening to and working alongside my neighbors to make positive change. I am passionate about helping others and served a year as City Year mentor and tutor. That experience, my undergraduate, and now working on my Masters of Social Work at USC make me a unique candidate who is committed and dedicated about being an advocate for the people of Cypress Park. Yo naci y creci en esta comunidad de Cypress Park, y creo en el poder de la comunidad y se que trabajando junto con mis vecinos, podemos hacer un cambio positivo. Actualmente estoy estudiando mi Maestria en Trabajo Social en la Universidad del Sur de California (USC) y con mis estudios y dedicacion espero ser una buena candidata que se compromete a ayudar a la comunidad de Cypress Park. 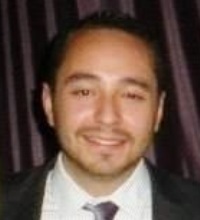 Omar Mejorado – I AM A LIFE-LONG CYPRESS PARK RESIDENT. I WAS BORN, RAISED, AND VOLUNTEER WITH THE CURRENT NC BOARD. I HAVE SEEN CYPRESS PARK GROW AND FLOURISH. I KNOW THAT CYPRESS PARK CAN BE A BETTER PLACE FOR ALL OF OUR FAMILIES. I CAN’T WAIT TO HELP OUR CYPRESS PARK COMMUNITY. 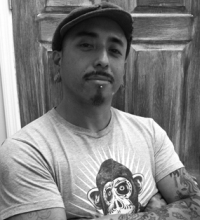 Michael Gunn Gonzales – I represent the recent transplants into Cypress Park that love the neighborhood as much as those who have lain down roots here for many years. In the short time I’ve been here, I’ve noticed some great changes in the community and I feel that our neighborhood would benefit from sense of direction that is driven by our diverse residents, creative spaces, unique businesses, and long time stakeholders. My background is in social services and contract management, and I’ve managed CDC funded programs for non-profits, and for Men’s Central Jail, but my passion is in creative arts and woodworking in my Cypress Park studio. As a member of the GCPNC, I would outreach to our community to bring together a unique and imclusive involvement that can only come from Cypress Park.